I have a confession to make. I’m not always conscious of my miraculous state of being. This morning (Saturday) was a perfect example. My realtor had arranged an Open House (my house is for sale) from 11:00 a.m. to 1:00 p.m. At 6:30, I was scrubbing last night’s rain and its detritus off the deck, which I had unwisely painted white. After that, there was more vigorous scrubbing, the front porch this time, which is also, unfortunately, white. 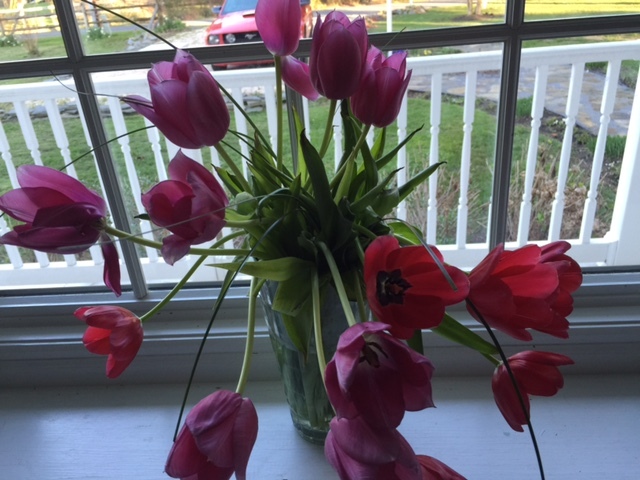 After a second, gorgeous cup of coffee, I was putting a crisp, white quilt on the bed and arranging red and magenta tulips to place in the bay window of my living room. At 9:30, the young man who mows my lawn was at the front door, and I paid him ten dollars extra for lifting some heavy flower pots onto the deck and disposing of a little squirrel that was lying on its side, seemingly asleep and sadly alone in the grass, a victim of a force of nature that I’d hoped was not my cat. 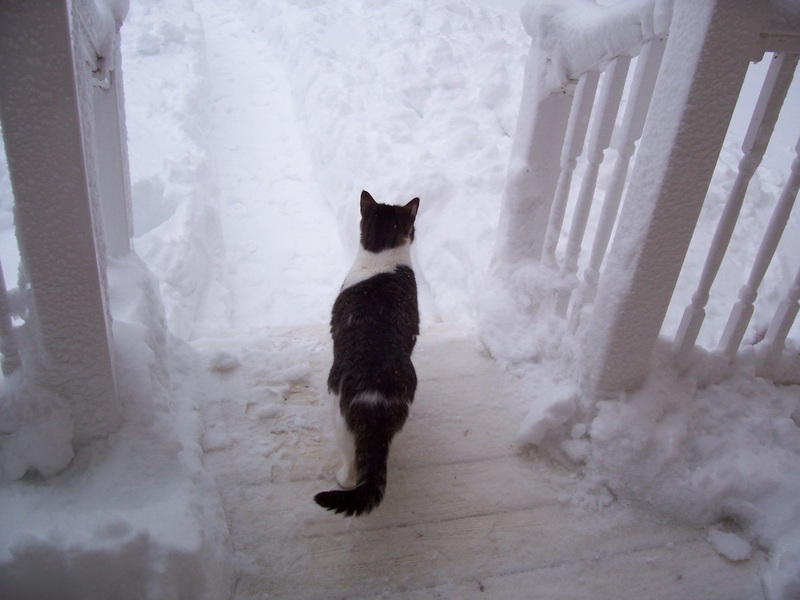 By 10:30, having put all signs of normal life out of sight and wiping down what seemed to be every surface in my house, I was sitting in my living room, chatting with my realtor, a pleasant, efficient lady with blonde hair who was just getting over pneumonia. Not once in all that time did I stop to feel or to sit – even briefly – in the sun. What made this such an odious crime was that I, along with everybody else on the East Coast, had seen so little of it for such a long time. On Saturday morning, the sun was in the sky, while I was in the pursuit of perfection. That is true unconsciousness. Between 11:00 a.m. and 1:00 p.m., five people came to visit. No one made an offer. My house has been on the market for two years. This was not my first Open House. I felt, to say the least, disheartened and tired of hoping. But I was not left there. As it always happens, I was rescued. A female mallard waddled into my freshly mowed back yard. I went out and clapped my hands to shoo her away. “Don’t you know a cat lives here?” I said. She looked at me unafraid, turned and waddled away, as if to say, “Oh, I know. He’s somewhere, but he’s not here, not now.” She headed back to the river, a little swagger in her waddle, her message to me clear. She seemed so rightly placed in the sun and the warmth of the day, so unconcerned with perfection (or the cat who was sleeping in his own little patch of sunlight on the other side of the house). She was intent on life alone. Life in that day was so beautiful, so rare. Nothing was required from me but to notice it, and when I did, gratitude was quick to follow. It is the natural aftermath of consciousness. As is hope. I began to feel sure that on the perfect day, someone will walk into my house, and they will be home, and on another perfect day, I will walk into a house in Sedona, and I will be home. Today, I must assume that both of us are rightly placed, as is the little duck, my cat, and yes, the squirrel. We are all here, in life, together. As the sun got lower in the sky, I came in and sat down to spend time with the tulips. I was conscious, awake, and grateful for the great gift of life that was everywhere. It took me a while, but I got there. 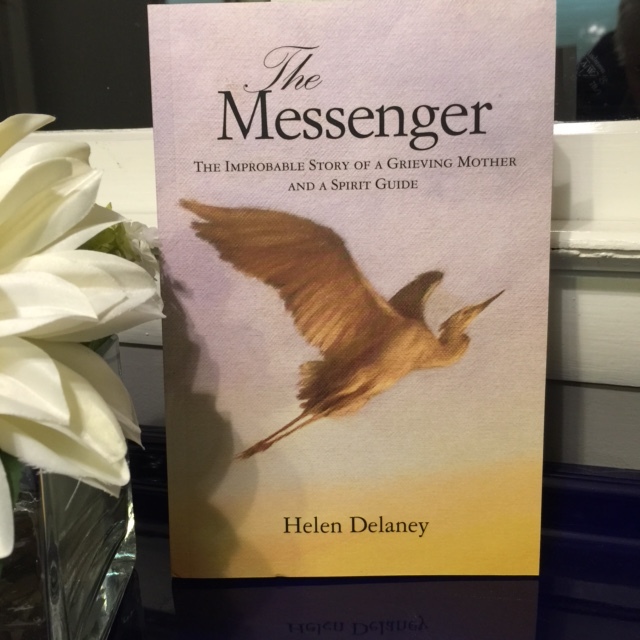 The Messenger is all about this – consciousness, gratitude, hope, and the sacredness of life. 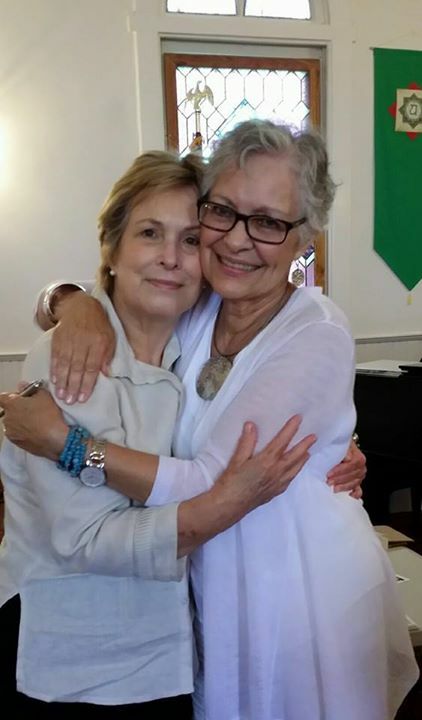 It is about death, yes, but also about the teacher who opened my eyes, who taught me to notice life, and to know it for the gift it is. At the moment, it is still in the hands (one of which is recovering from surgery) of the artist who is doing the cover. See you next Sunday.